I think everybody’s getting edible gifts this year, as I try to race through my recipes before New Year. 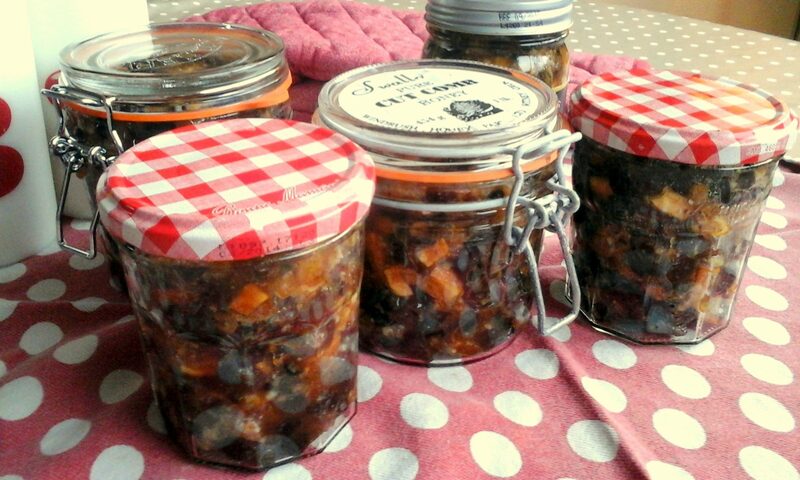 So I made this chutney and fudge as a birthday present. Edible gifts are always well-received though I’ve found! The chutney is very simple. You put apples, onion, sugar, vinegar and spices into a pan and boil away for about an hour. Then add blackberries for about 10 minutes. That’s it! I always sterilise jars in the dishwasher because I’m lazy. 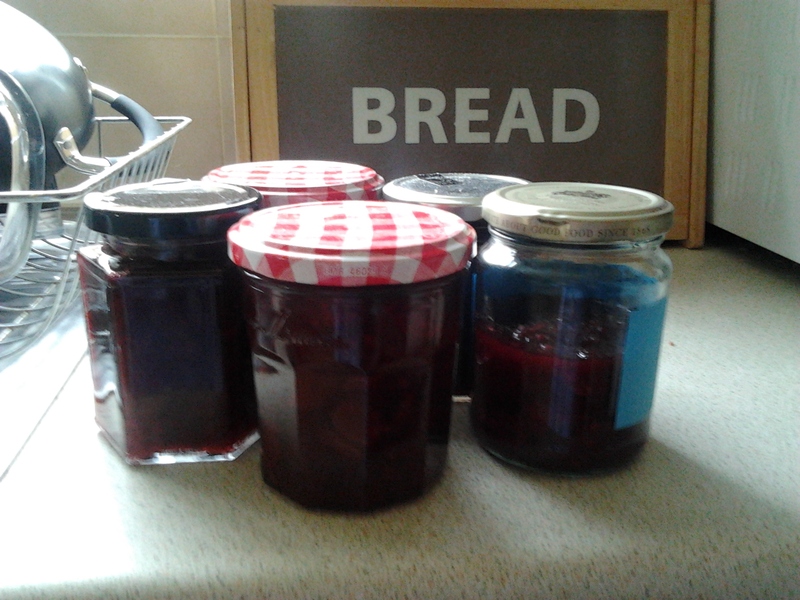 Lorraine’s recipe yields about 4-5 normal jars. 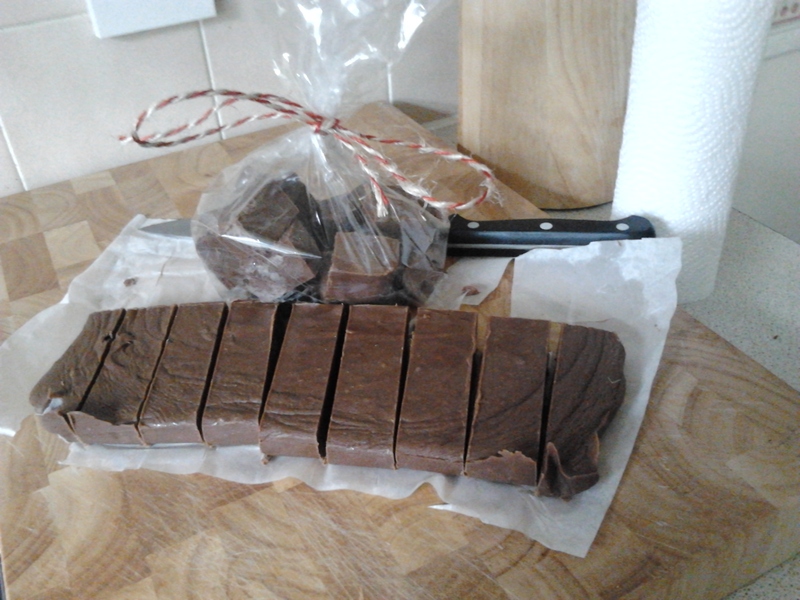 The fudge is butter, sugar, evaporated milk and marshmallows, boiled for about 5 minutes. 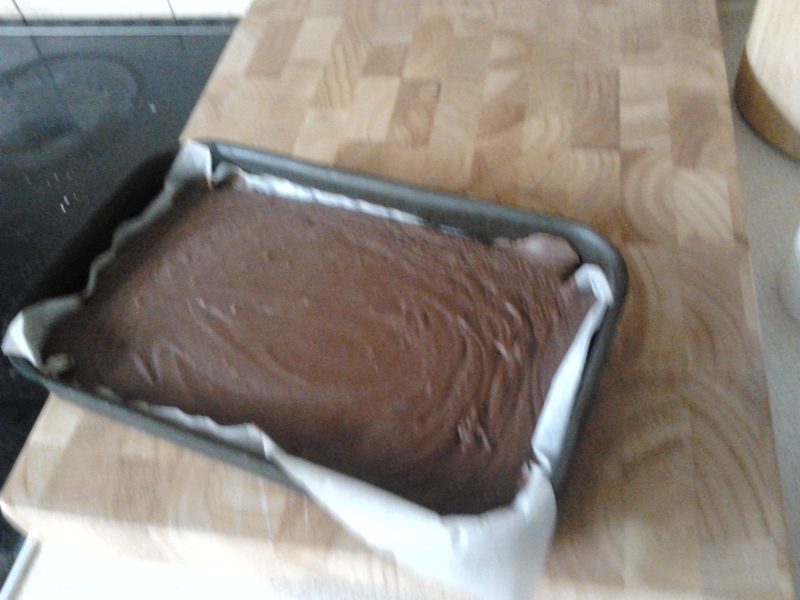 You then take off the heat and add grated chocolate. Except I don’t grate chocolate, especially dark chocolate. So I stuck it in the food processor and blitzed into tiny pieces which did the trick, but absolutely terrified Baby Cookingfanatic! You have to pour it into the tin pretty quick because it starts to set immediately. Lorraine says it yields 25 pieces, but I got 48 massive cubes from it. 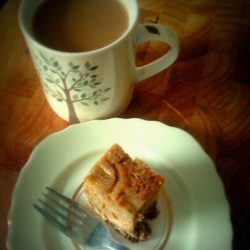 It’s rich, but good with a cup of tea! Perhaps you could give it in a nice teacup with a teabag as a gift.